March | 2017 | Does This Font Make Me Look Fat? My kitchen was fragrant yesterday morning with an oven full of roasting sugared and spiced pecans I was making for the card party at the St. Michaels Woman’s Club. Apparently I have become known for my spiced pecans which have graced a number of luncheon salads at the club. These are really good so I only make them when they can quickly be removed from the house. We’ll get a handful and then they’ll be transported to the clubhouse. These are so good that even putting them in my car’s trunk might not keep me from a stealthy run at them. I meant to take a photo of the roasted pecans but got them out of the house so fast I forgot. You’ll have to make do with the package photo. Preheat oven to 250 degrees. (I am now baking them at 275.) In a large mixing bowl, vigorously whisk egg white with water and vanilla until very frothy. In a separate small mixing bowl, whisk together sugar, cinnamon, spices and salt. Add pecans to egg white mixture and toss until evenly coated. 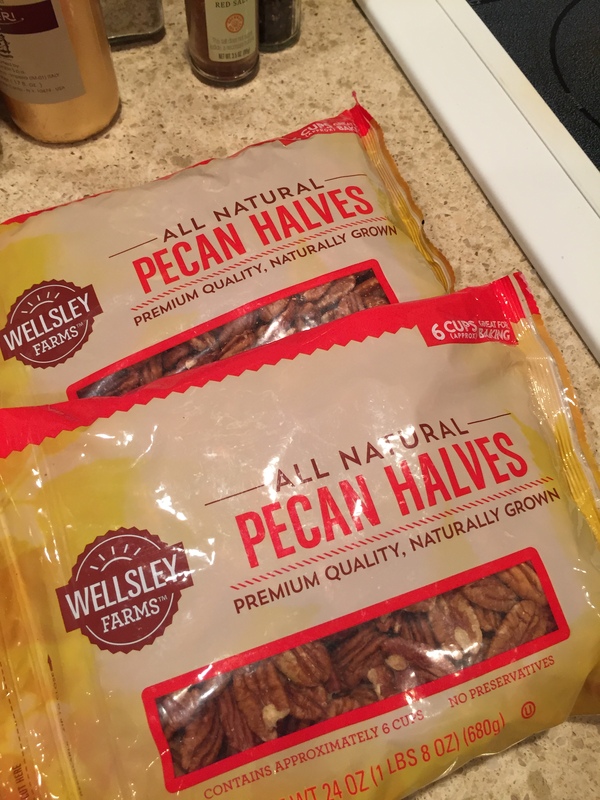 Pour half of the sugar mixture over pecans and toss several times, then add remaining sugar mixture and toss until evenly coated. Pour coated pecans over a Silpat or parchment paper lined backing sheet and spread into an even layer. Bake in a preheated oven for 1 hour, stirring every 15 minutes. Allow to cool, then store in an airtight container. I use sheet pans to bake. The sides keep the nuts from falling out. Since I remove them from the oven for turning, this is crucial. The final 15 minutes in the oven is what makes them crunchy. I checked them after what I thought was the final time and they still weren’t dry in the middle, so I put them in for another 15 minutes. The first two times you stir them they will be sticky. I like adding that little bit of cayenne for a little heat. If you’re planning to use them as an appetizer with cheese and fruit, you could add more salt as well. Question: Where do you hide food so you won’t be tempted? I’m almost finished with my several passes through the first Caribbean book – A Dream Across Time. It will be republished with a new title. The series will be called An Island Tale and the titles will be An Island Tale – Dream, An Island Tale – Circle and An Island Tale – Magic. They will be published under my name rather than a pen name – which seemed like a good idea at the time but in retrospect wasn’t. It seems like a lot of decisions in life are like that, but I’m getting a chance for a do-over with this. Not always the case with some life decisions. I especially wanted to take a look at the dialogue which sometimes seemed to go on longer than it should. 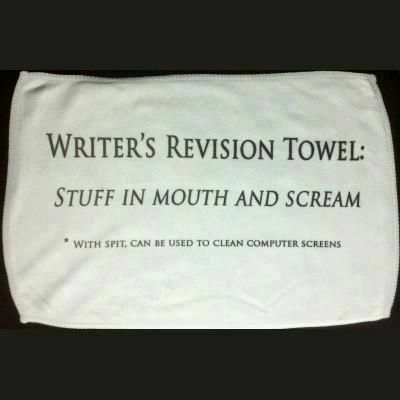 There aren’t any real plot changes so I haven’t had to get out my revision towel…yet. In the next couple of weeks the manuscript will go to a copy editor and then move on to CreateSpace for print and Kindle versions. Laura has proposed a cover series which I really like. I told my Working Writer’s Forum that I would submit something for the April meeting. That will force me to spend some time on the third book – Magic. Those characters are rocketing around in my cranium and need to get on the page. Last Saturday was the 20th annual Bay to Ocean Writers Conference. We had good weather which is pretty miraculous in that we’ve never had to cancel because of weather. Anny, in the yellow sweater, is the “face” of BTO. She stands out in the cold and greets people as they come toward the building. It’s a welcome for which introverted writers are grateful. After ten years, I’m stepping off the organizing committee. Next year I will attend BTO and actually go to sessions. I’m looking forward to that. The day went smoothly, a tribute to the organization of this conference where 200 writers of all stages in their writing life come to learn about the craft of writing, different genres, marketing and publishing issues. We had a few hiccups with registration which wasn’t as organized as I would have liked, but I wasn’t in charge of that. Once we got people through the line, things moved right along. We had three presenters who had requested AV assistance and they all had sessions at the same time. What are the odds? Chesapeake College had arranged for three tech people to be on hand. So something that might have been a big hiccup, wasn’t. It was a long day and I was tired when I got home. I’d already told the husband I wasn’t cooking so we ordered pizza which is something we hardly ever do. Two in the morning I was up hunting for antacids. But that pizza sure tasted good going down. The weather here is very cold and windy, but we escaped the snow the rest of the east coast had on Tuesday. We got lots of rain and frigid temps. The daffodils are down for the count. I won’t know about other things (like my camellia) until things warm up. I had raked the leaves (which provide winter insulation) out of my garden beds when we had those mild spring-like days. I knew that was risky, but because things were just starting to poke out of the ground I could actually rake the leaves. If that chore gets put off, I have to “rake” on my knees with my hands. When I sit at my keyboard I look out over a couple of big silver maples. I asked my husband to make me another birdhouse to hang on one of the trees. We hung four birdhouses earlier this year. He had made then several years ago and I finally got around to painting them. The holes are for small birds. I like the bright spots of color both in winter and summer. The one in the lower left corner was a craft birdhouse that finally fell apart. I kept it for the colors which I tried to replicate. We gardeners are always hopeful, and the lilac that I see from the window at my desk is in bud. Time will tell if the buds survived the cold of the last few days. If they did, the lilac will be full of fragrant blooms in another two months. I’ve belonged to the Working Writer’s Forum for ten years. A few of us were part of the original group which has morphed and evolved over the years. I really value what these folks have to say about my writing. Currently we are nine writers who meet monthly to critique one each others work. We limit ourselves to no more than two submissions of 25 pages. Recently one of our members moved to Arizona. She is a terrific writer and an excellent critiquer so we didn’t want to lose her. She’s also a really special lady. Someone suggested we bring her in using an iPad. So we did and it worked really well. Another member spends the winter in Florida and we also wanted to include her. So last night we had two Forum members take part using technology. I hope this group stays just the way it is. We’ve created a climate of trust that would be difficult to replicate. I volunteered to submit for April, although I said it might not be 25 pages. This will force me to spend some time on book three in the Caribbean series while I am revising the first two for republication under my name.